Apart from the main sporting clubs in town, sometimes us normal folk can get out there and join in some physical torture. 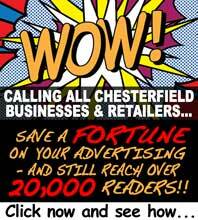 If you're looking for some of that, here's where you can find a list of local amateur sport and fitness events going on in Chesterfield. If it's a competition, maybe you'd like to do a report and post it on the site, contact us to see how.